Shruti Laya takes great pride in announcing the Ninth Sri Sadasiva Brahmendral Aradhana, presented in colloboration with the Kanchi Kamakoti Seva Foundation. The program will begin with the group singing of five of the Saint's krithis. All music teachers, advanced students and artists in our area are invited and requested to participate in this group singing. We hope that music teachers will encourage their students to learn atleast some of these krithis, and experience the joy of singing in a group on stage. 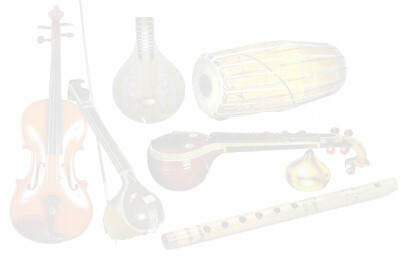 Please visit this page for audio and lyrics of these krithis for reference and practice. This will be followed by thematic concerts and dance performances based on Sadasiva Brahmendral krithis. The program is completely free. 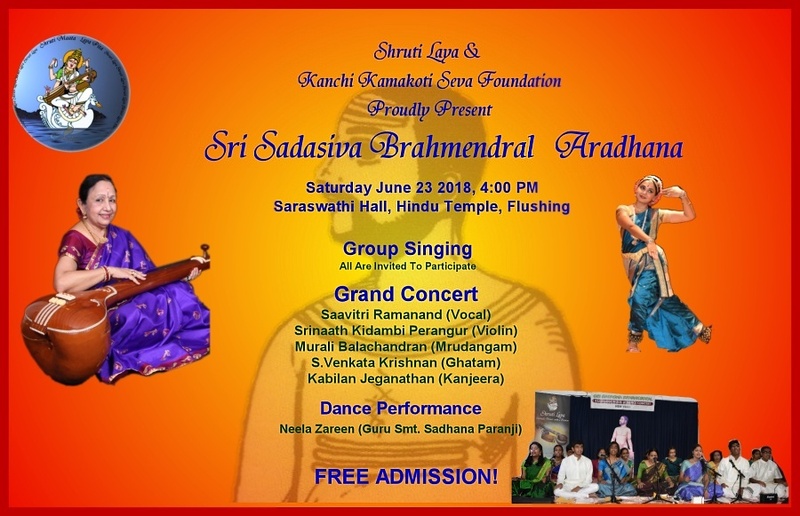 Please come and enjoy the performances, encourage the youngsters and pay your respects to Sri Sadasiva Brahmendral.